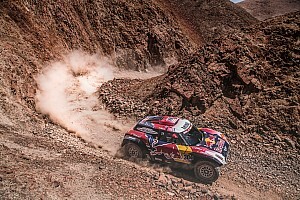 The 40th edition of the most gruelling rally event of all, the Dakar, begins on Saturday in the Peruvian capital of Lima. Here's everything you need to know ahead of the two-week marathon event. The 2017 rally's route was received considerably better than that of its predecessor, with many a competitor praising the increased focus on off-roading and navigation and a lesser reliance on 'WRC-style' road stages. The downside was that a significant chunk of that route didn't actually feature competitive running, with persistent heavy rainfall dominating the Bolivian leg, as well as sections in Argentina. Day-to-day conditions were rough (particularly in Bolivia's Oruro bivouac, which turned into a swamp overnight), a number of stages were shortened and two – including the much-anticipated 'Super Belen' in Northern Argentina – were canned. 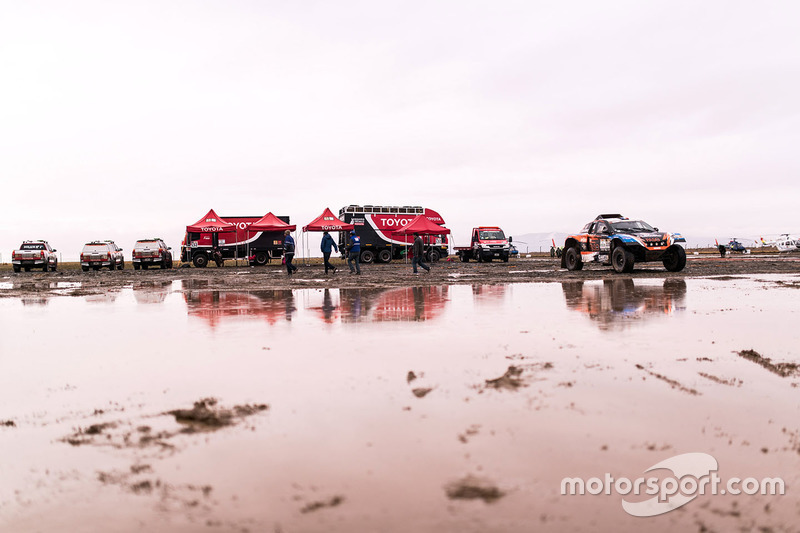 Rain in Bolivia is no one-off issue, and the troubles of the 2017 event left the likes of trucks frontrunner Gerard De Rooy and Hans Stacey, as well as top car-class privateer Erik van Loon, calling for a rethink of the route. Dakar is still going to Bolivia this year – albeit for a shorter stretch – and none of the three aforementioned competitors will be with the rally this time, De Rooy in particular deciding to contest the Africa-based Eco Race instead. This is by no means a mass exodus, but Dakar organisers will be wary of the rally becoming too much of a hassle for the European privateers that make up most of its ranks. They could really use a smoother run in 2018 – and for the returning Peru leg that opens the route to be a success. #2. Last hurrah for two veterans? The news that Peugeot would be bowing out after the 2018 race was a big deal in many respects, not least because it could be the catalyst for retirement for both Stephane 'Mr. 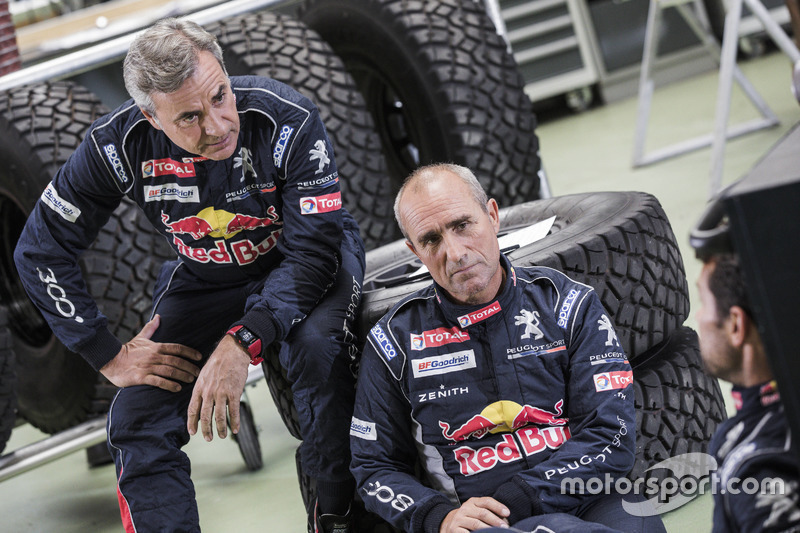 Dakar' Peterhansel and Carlos 'El Matador' Sainz. Peterhansel, comfortably the most successful competitor in Dakar history, was inundated with retirement questions immediately after claiming his 13th event win last year. With the 2018 race marking Dakar's 40th anniversary and Peugeot calling it quits, it wouldn't be a huge surprise to see Peterhansel hang up his helmet now – but the 52-year-old is yet to commit one way or another. He recently told Motorsport.com: “I don’t really have plans. After Peugeot’s announcement to stop the Dakar programme, we weren’t surprised because we suspected it, and there isn’t any nostalgia for the moment as it’s not over yet! But there is a bit of sadness. “We lived four years of an exceptional adventure so now, I just feel like leaving this behind me and focusing exclusively on this next Dakar and doing the best I can. Sainz, three years older, has struck a similar note. But with no obvious new manufacturers on Dakar's horizon, both his and Peterhansel's options would be limited if they wanted to keep going – and it's not at all unlikely that one, or both, will decide this race will be as good a time as any to step aside. Sebastien Loeb's successes on the 'WRC-style' sections of the 2016 Dakar were to be expected, but it was his and co-driver Daniel Elena's strong performances in off-roading and navigation last year that marked the crew as potential champions-in-waiting. Well, about that... Peugeot's announcement that its Dakar programme would conclude with the 2018 event suggested Loeb and Elena won't get as many chances as they really ought to, and the Frenchman's subsequent blunt confirmation that this year would be his “last chance” has now driven the point home. 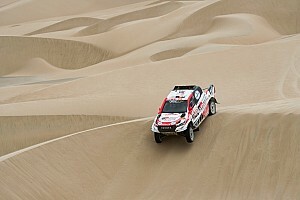 Loeb clearly has what it takes to win the Dakar this time. He already looked Peugeot's fastest driver last year, but ran out of time to make up for a navigational mistake in a head-to-head duel against the shrewd Stephane Peterhansel. And despite his obvious talent, Loeb still hasn't won a cross-country rally. Most recently, he squandered a very real chance in the Silk Way Rally when he crashed out, handing the win to fellow Peugeot man Cyril Despres (who should likewise be a factor in this year's Dakar with another year of car experience under his belt). So, it's now or never, and the pressure on Loeb will be considerably higher this time around. And while a Loeb victory would be popular, Peugeot has insisted it is not planning to stack the deck in favour the nine-time WRC champion. “The only thing we know ahead of the race is that many things will happen – with weather, with incidents, with driver, co-driver and navigational errors,” said Peugeot's Bruno Famin. 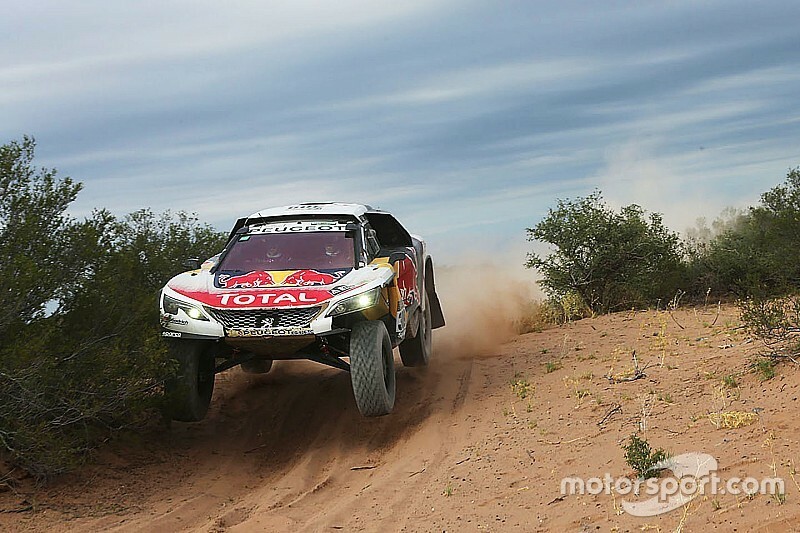 Nasser Al-Attiyah topping the opening stage of the 2017 rally for Toyota prompted Carlos Sainz to say Peugeot had been treated unfairly by changes to restrictor regulations – with the 4x4 cars allowed an increase and his two-litre buggy getting a reduction. But that, of course, was very much a false dawn. 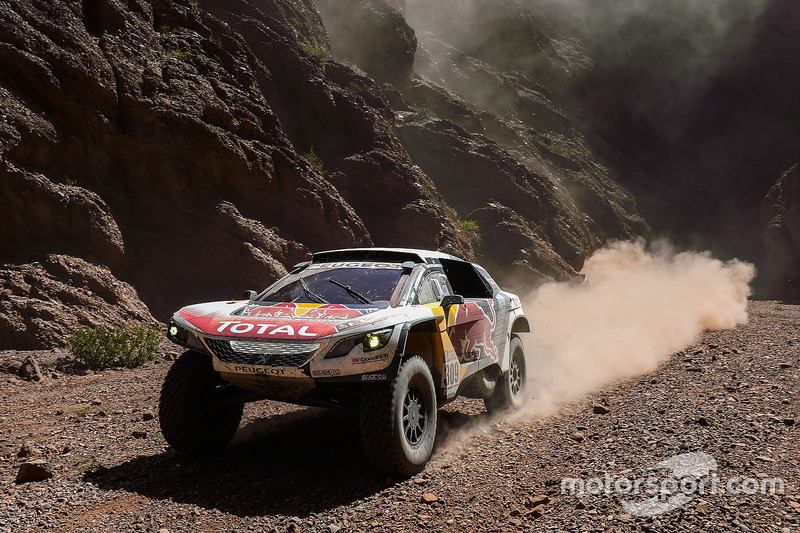 Al-Attiyah crashed out of the rally early, and while his fellow Toyota drivers kept in touch with Peugeot over the opening stages close to sea level, their heavier, normally-aspirated cars were no match for the 3008DKR at altitude. Come 2018, further measures have been taken to level the playing field, with the buggies made heavier while the 4x4 cars get a weight break and increased suspension travel. That should take the Toyota camp halfway to preventing another blowout. The other half would be its chief hope, Al-Attiyah, staying out of trouble. After his bruising 2017 exit, the two-time Dakar winner dominated the Cross-Country Rally World Cup for a third straight year, and should have a strong shot at ruining Peugeot's farewell party. 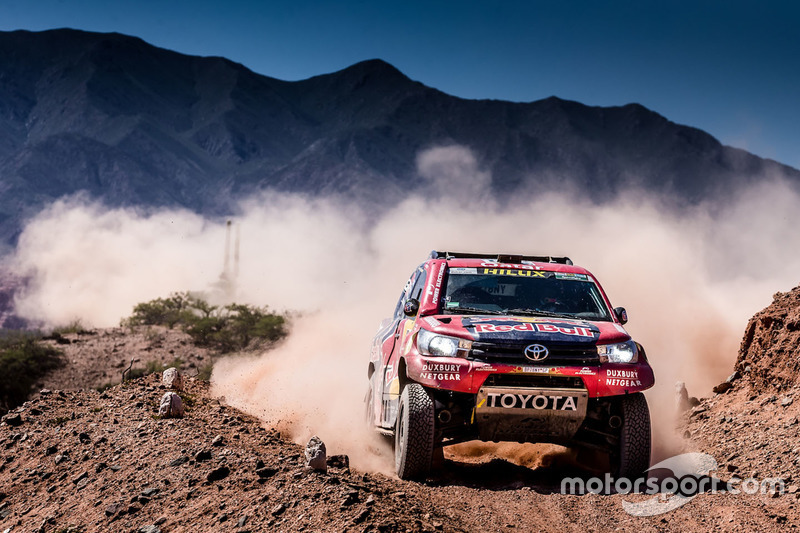 Still, even if the rapid Qatari doesn't keep the car in one piece, fellow Toyota driver and 2009 champion Giniel de Villiers almost certainly will, the South African having finished each of his 14 Dakars so far - and only once outside of the top seven. The recent unveiling of X-Raid Mini's all-new 2WD buggy means the team will play both sides in the 2018 race. 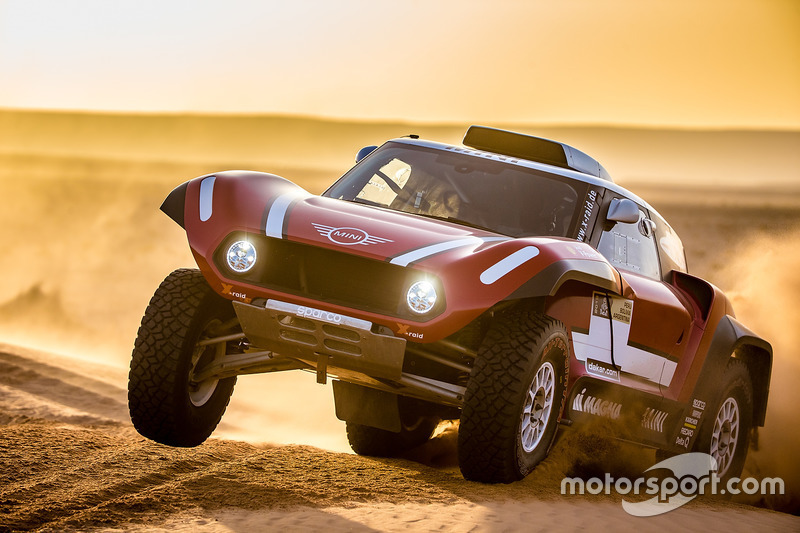 Mikko Hirvonen and Yazeed Al-Rajhi, who have spearheaded the outfit's recent efforts, will be piloting the buggy, whereas 2014 champion Nani Roma – back in the Mini fold after one year with Toyota – will stick with the 4x4. But despite a two-fold strategy and a formidable line-up, toppling Peugeot and Toyota might be too tough an ask for now – at least according to former Dakar champion and Mini tester Jutta Kleinschmidt. “It's difficult to say because we never saw it racing, they only did tests in Morocco,” she told Motorsport.com. “For my experience, it will have some technical problems, I'm quite sure, because it's a long race. 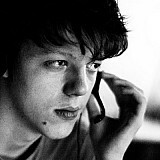 “I don't think it's already competitive, I would be very surprised. It could make some good results but to win is so hard. Peugeot suffered the same in its first year [in 2015] and then the second year was really good. Last year, KTM continued a stranglehold on the Dakar’s bikes category dating back to 2001 thanks to Sam Sunderland, but the Briton's maiden triumph certainly wasn't without controversy. It owed much to a one-hour penalty that was handed to all four Honda factory riders on the fourth stage for illegal refuelling – at a stroke turning Joan Barreda’s 19-minute lead into a 41-minute deficit. Barreda went on to lose by 43 minutes. One month later, during KTM’s MotoGP launch, CEO Stefan Pierer made headlines when he accused his “most hated” rival Honda of trying to cheat its way to Dakar glory. Honda eventually returned the compliment when Ricky Brabec accused KTM of always getting its own way with the organisers in October’s Morocco Rally, won by Mathias Walkner. In response, KTM rally sport manager Jordi Viladoms told Motorsport.com: “[Brabec] says there is a person who speaks well with the FIM and with the organisation, it’s clear he’s referring to me. 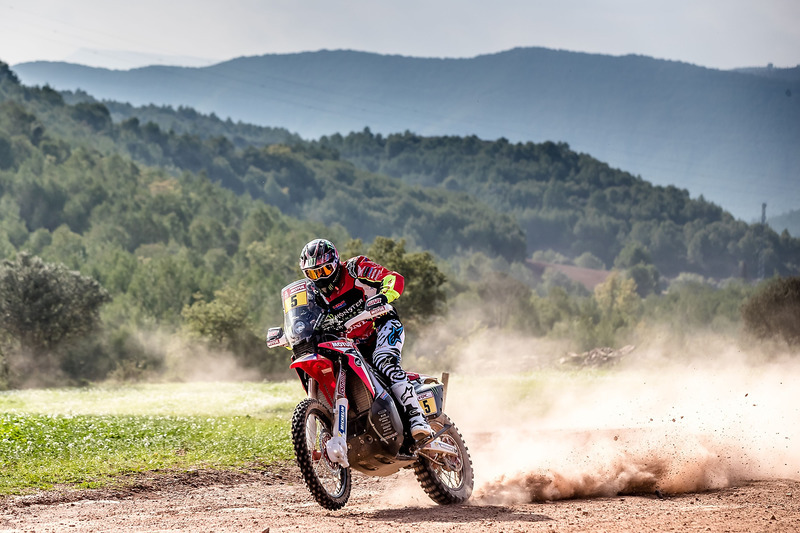 Those comments have set the tone for what promises to be another fascinating Battle Royale between the Dakar’s pre-eminent two-wheeled brands. #7. Barreda's year at last? If anybody has emerged as the heir to Dakar bike legends Marc Coma and Cyril Despres in recent years, it’s Joan Barreda, winner of no fewer than 18 stages in the South American event since 2012. And yet, the Spaniard has never finished on the overall podium, let alone won the title. Last year’s one-hour penalty was merely the latest in a long line of misfortunes for Barreda, who lost strong victory chances both in 2016 and 2015 due to mechanical trouble. The Spaniard’s luck didn’t improve after last year’s Dakar either. He broke his collarbone in March and then broke his wrist in August, compromising his preparations for this year’s event. Following surgery, Barreda is finally ready to return to competitive action. 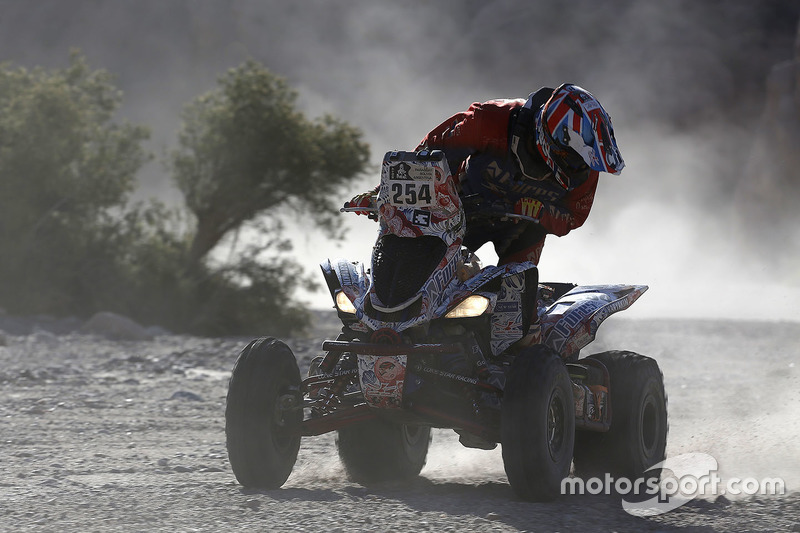 But the 34-year-old insists finally capturing a maiden Dakar victory is the not the be all and end all for him. Barreda’s opposition will be stiff, not least within his own Honda team, where impressive 2016 rookie Kevin Benavides – who was forced to skip the event last year – will also start among the favourites for victory. 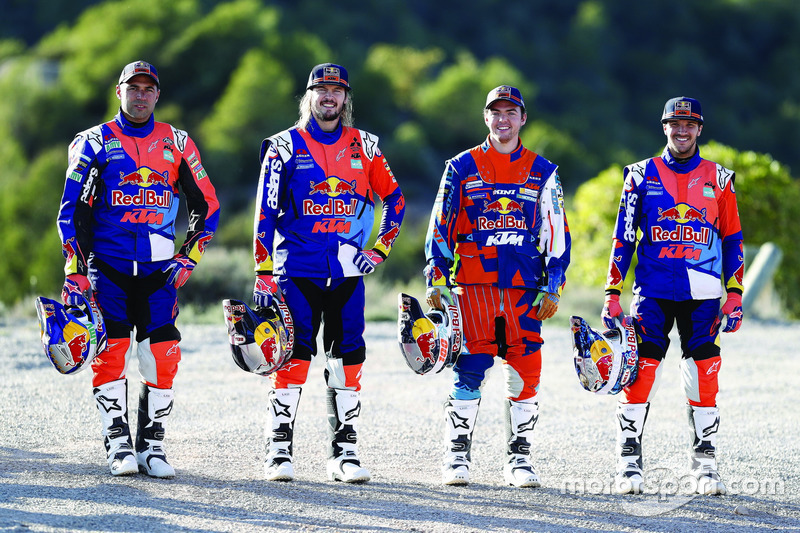 At KTM, reigning champion Sunderland is joined by 2016 winner Toby Price, last year’s runner-up Walkner and former enduro star Antoine Meo, while FIM Cross Country Rallies champion Pablo Quintanilla spearheads sister brand Husqvarna’s assault. Not to be discounted either is Yamaha, which has recruited Franco Caimi from Honda to join Adrian van Beveren and Xavier de Soultrait in its works line-up. 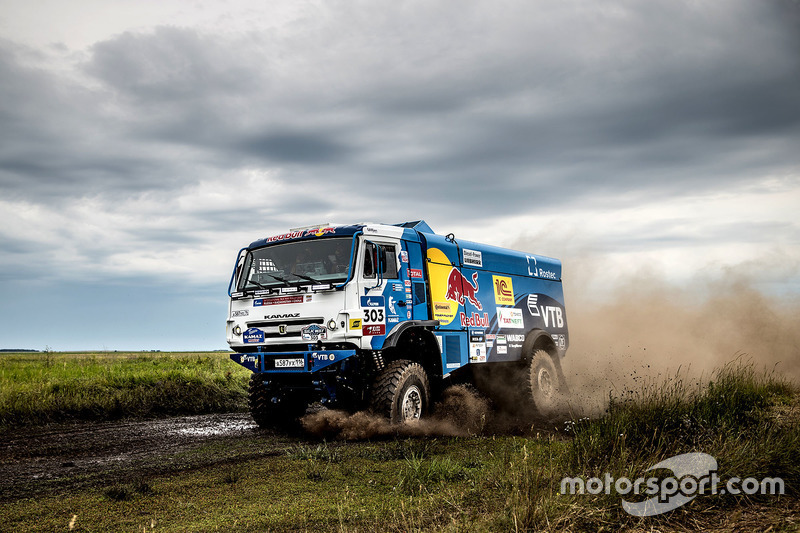 The two Dakars Kamaz has lost since 2009 had both gone to De Rooy, who is sitting out this year's race – so the Russian truck manufacturer should fancy its chances. It'll have a strong line-up as usual, with champions Eduard Nikolaev and Ayrat Mardeev, rising star Dmitry Sotnikov and Anton Shibalov in an initial support role. Sotnikov's fortunes will be of particular interest - his Kamaz is to be equipped with a new straight-six engine instead of the traditional 16-litre V8. And it is not as big a gamble as it might sound, given that Sotnikov has already headed a Kamaz Silk Way Rally podium lock-out in a similar configuration. That's not to say Kamaz will have a clear run at victory, as the team still has to overcome the likes of regular frontrunner Ales Loprais, his fellow Tatra driver Martin Kolomy and Martin van den Brink. And while de Rooy is absent, his IVECO team should now be spearheaded by Argentine Federico Villagra, who too can be a formidable rival. A former WRC regular, he has finished in the top four in his first two truck-class Dakars and further proved his credentials by winning the Morocco Rally last year. The quad class might lack the wide recognition and marquee names of other categories at Dakar, but it gives no quarter when it comes to drama, competition and unpredictability. A cursory glance at this year's entry list would paint the 2018 event as a duel between the reigning champion, Russia's Sergey Karyakin, and '14 champion/'17 runner-up Ignacio Casale. Casale, having lost by over an hour last time out, feels he was “in very poor shape” then and is approaching the event with renewed confidence, but Karyakin will be no weaker this time and is motivated to prove his maiden triumph was no “fluke”. Of course, these usually don't work out so simple. Last year's race featured five different leaders and six different winners, and all of them are back in 2018. Among those who could disrupt a potential Karyakin-Casale showdown are fellow past champion Rafal Sonik, Argentine riders Jeremias Gonzalez and Pablo Copetti, Bolivia's main hope Walter Nosiglia, Dutch cross-country world champion Kees Koolen and Peruvian Alexis Hernandez, who ran at the front of the race in 2016. But most curious, perhaps, will be the speed of French duo Axel Dutrie and Simon Vitse, who both mounted a serious dark-horse challenge on their respective debuts last year. The sight of non-motorsport celebrity isn't a particularly rare occurrence for the Dakar Rally, with cameos ranging from Margaret Thatcher's son Mark's infamously disastrous 1982 outing to ski champion Luc Alphand's slow and gradual path towards a full-on Dakar win in 2006. And this year's race will mark the latest addition to the roster in the form Andre Villas-Boas, 40-year-old Portuguese football manager who just a few years ago was seen as the next big thing in the sport. Villas-Boas remains the youngest manager to win a European club competition, his Porto side lifting the Europa League trophy when he was just 33. But subsequent stints at English giants Chelsea and fellow London powerhouse Tottenham were ultimately inglorious, swiftly halting his rapid ascent. Still, he is no spent force, which is what makes this cameo particularly exciting. He has just walked out of a lucrative deal with China's Shanghai SIPG and is frequently linked to various football clubs in search of managers. He's also clearly not contesting the rally on a whim, long-known to be a motorsport fan intent with a dream of racing at the Dakar. That, of course, is no guarantee he'll do well – but he has commendable enthusiasm, a handy co-driver in former KTM rider Ruben Faria and a solid piece of equipment in the Toyota Hilux. 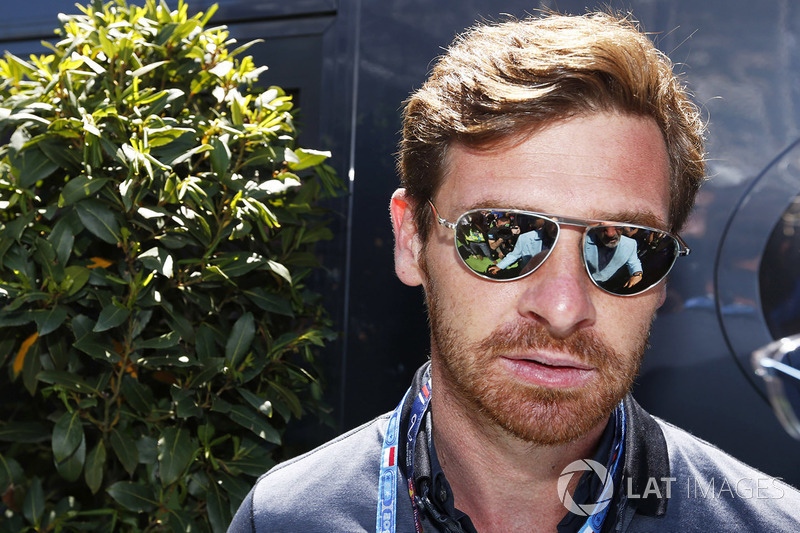 If you're partial to football, or just keen on more mainstream recognition for the Dakar, Villas-Boas will be worth keeping an eye out on.